This craft project is cute and easy to do. And it’s a go green crafting project, too, as I have used recycled fabric for it. It’s a tiny stuffed soft bird toy. I have used an old t-short fabric for it. I have crocheted the wings and made legs out of old piece of wire. This bird makes a great toy or just a pretty decoration for your home. 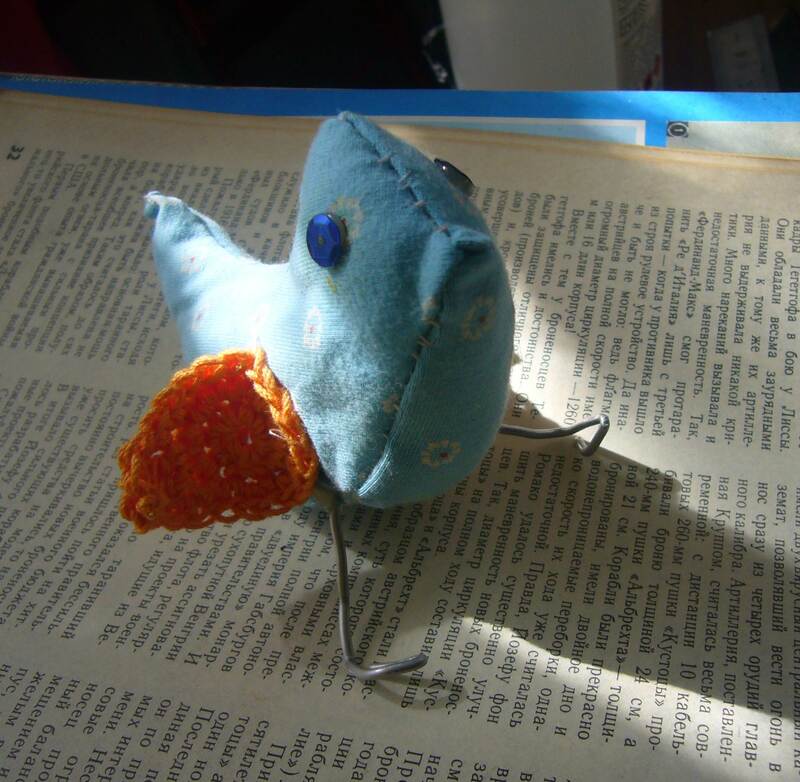 I have hand stitched it and it about min to sew this bird by hand. Check out my Pinterest board or Facebook for instpiration crafting ideas and for green crafts. 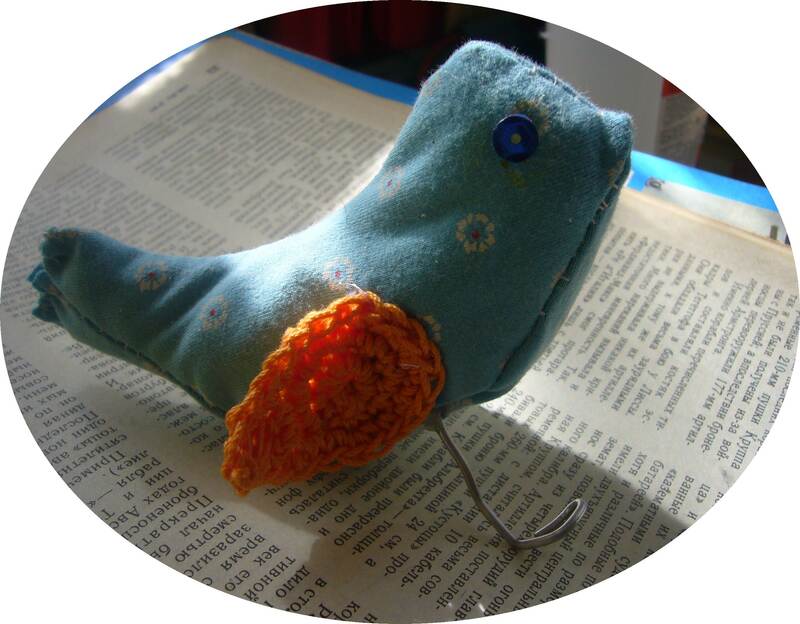 This entry was posted in Go green, Sewing and refashion projects and tagged bird toy, blue bird craft, craft, crochet, DIY, facebook, go green, handmade toy, pinterest crafts, recycled crafts, recycled toy, sew, soft toy. Bookmark the permalink.